School starts tomorrow. I love my room at school. It isn’t quite done. It was just constructed this summer and the workers have a couple more things to do. But hopefully by Tuesday I will post pics!! 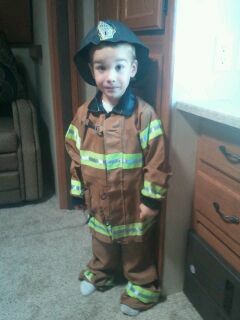 turned the big 0-4 yesterday and his impossibly awesome aunt got his this stylish fireman’s outfit. Clearly she is awesome…. As those of you who frequent this blog know, Abraham LOVES dressing up. I love this kid!!! is also going to be a big brother!! Yep, Teresa is expecting the little peanut in January. Annnnd that’s all I got for now! On June 2 I woke up to my first official day of summer vacation. Of course most of it was spent packing for the Washington DC trip starting the next day, but I remember waking up that Saturday morning and thinking, “This is it. My summer WILL rock.” And then it did. Now let me begin my telling you what my summer has been like for the past several years. June is always busy. Always. But then July hits and I begin my marathon “will she or won’t she leave the house today and take a break from the Bones or One Tree Hill episodes on Netflix” coupled with, “hey, I have plans one whole day this week! SCORE!! !” and of course, “why aren’t any of my friends calling me? I’d do something it someone asked me, but no one loves me enough to call me”. Ugh. I’m not going to give too much of this away because you can read about it on my friend Lindsey’s blog next week (or whenever), but I realized that my friend skillz were seriously lacking and I needed to quit being a gloomy gus and make things happen for myself! Jessica- I am so thankful that after 3 years at Northbrook, 1 early morning parking lot dance session (caught on camera), 1 raucous season of volleyball, 147 various types of markers, a shared obsession with Tim Tebow, lots of Starbucks and knowing that I can always show up in jeans, a t-shirt and sneaks we are still growing in our friendship and I am SO glad that we became friends. You have helped make my summer amazing!! Kyle- I don’t know what we are going to do without Van this year, but at least with Susie in the mix we are “the blondes of Area 5”!! Thank you for organizing all our Monday meals. I had so much fun meeting and discussing our various adventures. I am so thankful for your friendship. You have helped make my summer amazing! Tamara- You started the whole thing. You told that I needed to change the way I though and YOU WERE RIGHT!! Thanks for inviting me to home school family events, for opening your home when I wanted to kick off my summer right by dropping in unexpectedly, for letting me come to the Lake House, for all the swimming fun that we’ve had. You are the kick in the pants that I need and I adore you! You have helped make my summer amazing! Lindsey C.- I had so much fun teaching Madeline about Texas, hanging out with Collin at Tamara’s (before broken arm-gate), learning that I will get much further with Jude by giving him a high-5 than tickling his little tummy and getting smiles from Spencer. More than that though, I love how we have bonded over writing, insanely cute dresses, making groups of 4 when Katy very specifically said 2’s or 3’s, and allowing God to transform the way we view others. I am so thankful that we are getting to know each other better. You have helped make my summer amazing! Julie- I can’t imagine how messed up I would be without you to even me out!! I am so honored to be Marisa’s Aunt KK!! Thanks for all the lunches, dinners, breakfasts, trips to the mall, rides to and from the airport and being the best pre-editor a girl could ever ask for. You have helped make my summer amazing!!! These don’t even include how much, despite the whole broken hip unpleasantness, I enjoyed hanging out with my mom. She is doing so much better, by the way. She goes to physical therapy twice a week and she is currently living with her 88 year old Aunt. They have walker races and stuff. Because of her hospitalization, both at Methodist and then at Rehab and then because of the fact that she can’t drive (because she broke her right hip) we have spent A LOT of time together and despite what she thinks, it was NOT a bother at all!! Mom, you helped make my summer amazing. Also, my sister and her so-cute-it-should-be-illegal children… they definitely helped make my summer amazing. So you see, blessed doesn’t even begin to cover it. Naming those 5 (well, 7 counting those related to me….) doesn’t even skim the surface. There are so many things I want to say, but I just can’t even find the words. Every one of those 75 days I was thankful for my friends and family. I thank God for all of you; for the support you have been, for the encouragement, for the prayers, for the words of tough love, for the hugs, for the investment. YOU have made my summer amazing!! 1.Kieran Behan– You probably have never heard of this guy. He is an Irish gymnast and he did not make too much of a splash at the Olympics. He stepped out of bounds on his floor exercise and he fell on one of his skills on the floor also. But he was all smiles the entire time; one of the commentators remarked that Kieran knew he wasn’t going to do too much at the Olympics, but just being there was his dream; just tumbling on the Olympic floor was the reward of working hard for so long. He had such an amazing attitude that I had to google him. Here are some other facts: he is only the second male gymnast ever to to qualify for the Olympics. But there’s more…. when he was 10, Kieran had a tumor in his leg removed. He was temporarily confined to a wheelchair, but 15 months later, defied all odds and returned to the gym. Less than a year later he fell from the high bar and sustained brain damage. Once again he was confined to a wheelchair and had to relearn things as simple as raising his head. Once again, he fought through it and 3 years later returned to gymnastics. In 2010 he ruptured his ACL in both knees, but one knee at a time. Finally, in 2011 he triumphantly made his mark at the World Championships and in 2012 made the Irish gymnastics team. I can’t even tell you how impressive this kid is to me. I wish I had known all of that when they showed his brief time on the floor in the qualifying round. I can’t even read back over what I wrote without tearing up. This is what the Olympics are about!! 2. John Orozco– Keeping with the theme of men’s gymnastics, John Orozco was the top qualifier at the Olympic Trials back in June. His story has been all over the place at least during gymnastics events. He is from Brooklyn where he lives with his adoptive parents. Being a young, black man in Brooklyn who does gymnastics was not always easy for John. He got made fun of quite a bit. But he persevered. When his family was having a hard time making ends meet he immediately asked if he could work at his gym and he gave all of his money to his parents to help pay the mortgage. And when Team USA fell apart at the team finals last week, John was very quick to insist that HE let his team down. It broke my heart to see this kid who has taken on so much more than any kid should have to allow the nerves and the pressure to get to him. I was so sad for all five of the team members. Mostly though, I was sad for Jonathan Horton. 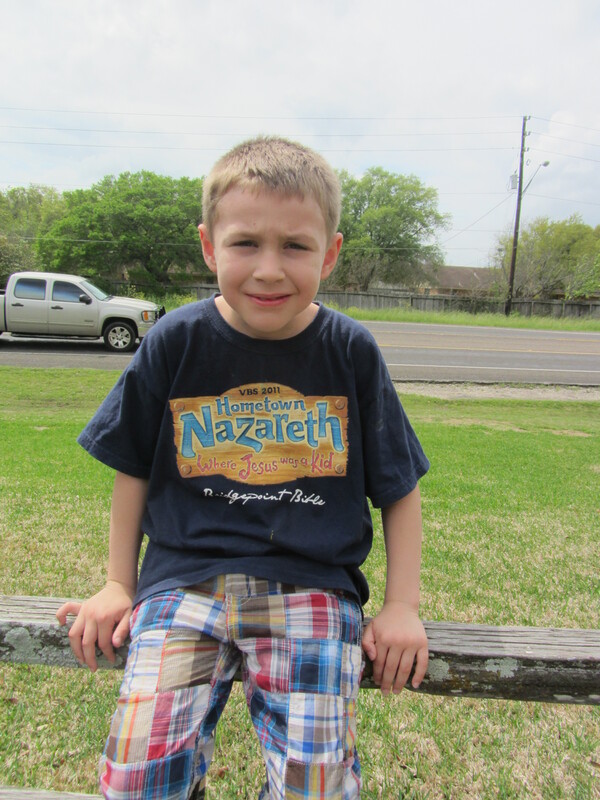 Jonathan is a Houstonian and an outspoken believer. His testimony and leadership to his team have been invaluable. I am so thankful that he had a second shot at the Olympics. 3. Caitlin Leverenz- In the midst of all the hoopla over Michael Phelps and Missy Franklin, Caitlin is a swimmer that may have gotten lost in the shuffle. Caitlin swam the 200m Individual Medley and she earned a bronze medal. Obviously others have done more and done better, but what made Caitlin stand out to me was her reaction to her 3rd place finish. She cried for joy. Like, almost sobbing in the pool with excitement. After watching swimmers earn silver or bronze and act disgusted with their not gold freaking Olympic medal it was refreshing to see a girl be that excited. When she was interviewed by the ever-present Andrea Kremer, she still couldn’t control herself. She said something like (because this was several days ago…) “I get to stand on the medal podium! I get to see my flag raised for me! Even though it isn’t my national anthem, I get to see my flag!” THAT is what I want to see from our athletes! Now that isn’t everyone’s style, but Caitlin Leverenz made quite an impression on me. I have so many more stories to share, but I don’t want these posts to be ridiculously long. So, I’ll see you again tomorrow!! Truth be told I did not actually get around to Carter’s interview. There was a LOT going on there at the end. But I wanted to tell you about him. Like all of the kids he is his own little person and is so different from his brothers and sisters. So here we go…. 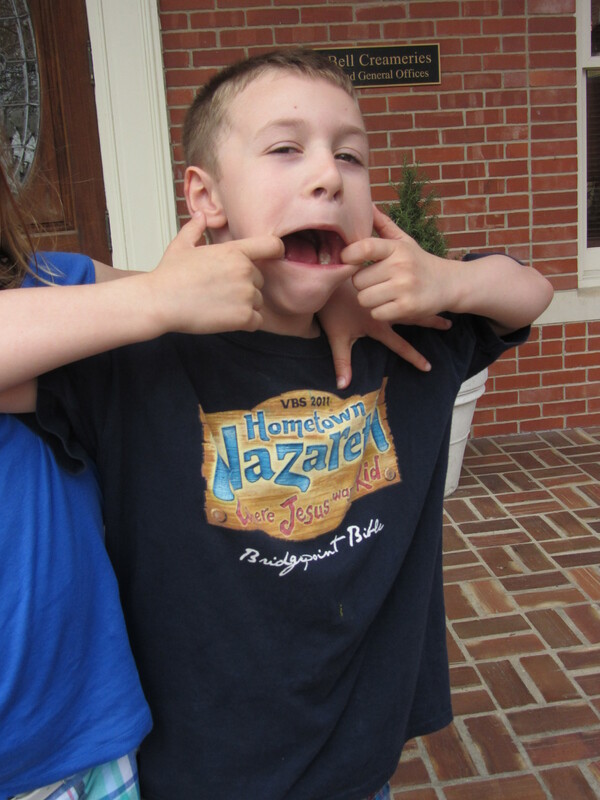 Carter is, in so many ways, your average 7 year old boy. He likes to build forts out of the sofa cushions and practice his Olympic long jump by leaping back and forth over the kitchen floor mats. He is good at math and loves to read. He is a messy eater and barely takes a breath while shoveling food into his mouth. But here are some things that I LOOOOVE about Carter. -He loves to sing. He sings all the time. He sings in the car, he sings in the bathroom, he sings at the dinner table. He really likes worship songs. -he is usually the first kid (Other than Clark) up in the morning. 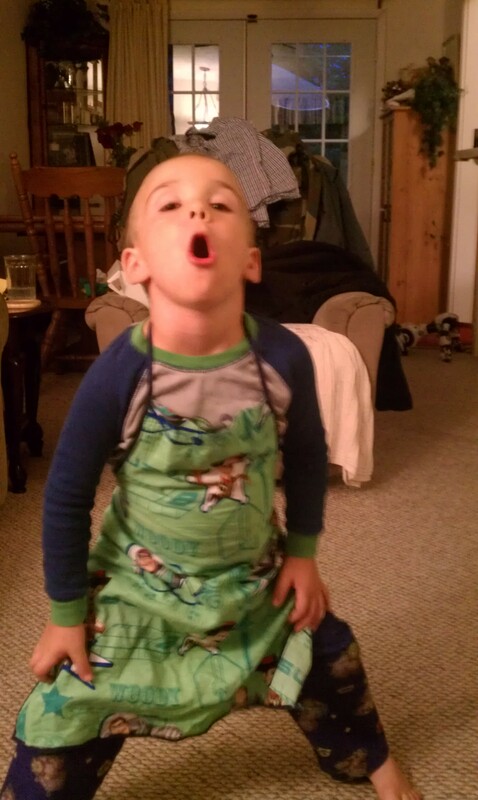 He gets dressed without being asked and then sneaks downstairs like a ninja (that you totally see….) to try and scare you. -When he is bored he’ll go empty the dishwasher just so that he has something to do. Not even kidding. -He faithfully lifts Clark and his carrier into the seat in the car every single time and then sits next to the baby and entertains him. -When I am sitting on the couch he will slowly slide over to me and hold my hand. -He takes care of his younger siblings. He reads to Abie and Lydia and probably even Clark. -He has been taking swim lessons and has become so confident in the water. He helps, daily, with the laundry. With a 7-person family there is a LOT of laundry!! Well, this is a bit out of order. Technically Carter should have been next, but he was watching a movie when I wanted to do the interview. Also, and this is really funny, Kaylee’s big tow just got caught in Lydia’s hair. It is completely off topic, but it’s hilarious and was a point in favor of getting them in to the bathroom to wash and CONDITION their hair. What’s the best birthday present you ever got? Ok, well what about the best present you ever got period? Do you like being the oldest? When do you not like it? Yeah, that stinks. When do you like it? Hey, you’ll get to drive first! 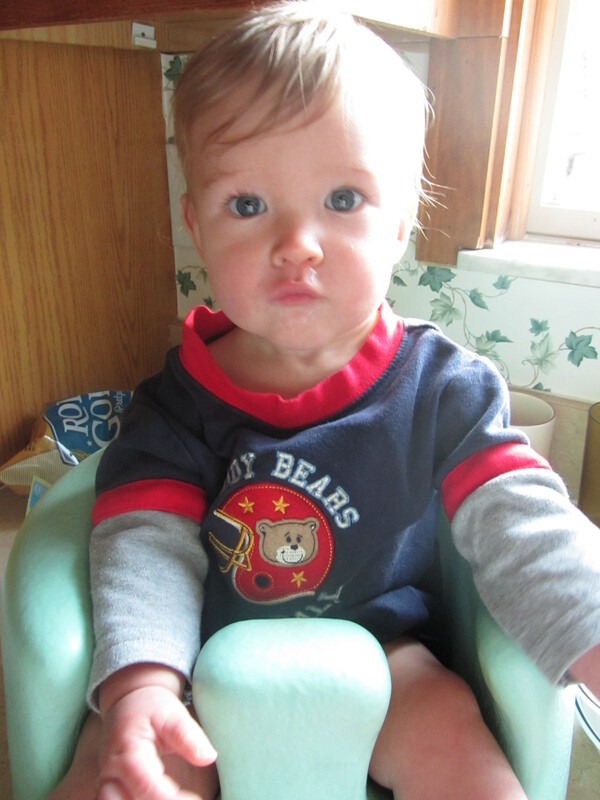 Oh, well let me tell you about your mommy getting her ears pierced…. I had to wait until I was 10, but she got hers done 6 months later when she was 7 1/2. But I’m not still bitter or anything. Oh, you mean like elementary school? yeah like 2nd grade. Or maybe 3rd. But not older. As long as I want…. I’m asking questions!! Do you hope the new baby is a boy or a girl? A girl would even things out. Also, that way the boys don’t get the big room! If it’s a girl what name do you like? What boy names do you like? How about Nebuchadnezzar? That’s a Bible name. No. Not that type of name. Joseph or Joshua would be better. Lydia, what else should I ask Kaylee? What’s your favorite thing about daddy? If the house was on fire, what three things would you grab? Who is the loudest in your family? Who is the quietest in the family? What do you think Lydia should be when she grows up? If you are going to be the president what are some important things that you should be? What do you think about the Olympics so far? What event do you want to see most? I really like those too!! Should we stop before Lydia goes bananas? Just don’t talk about her…. That’s why she shouldn’t be in my interview. Just look at this lovely girl!! At the Blue Bell factory last March. Along with my groundbreaking interview with Abraham yesterday I also interviewed Lydia. She is hilarious and I am never quite sure what she is going to say next. 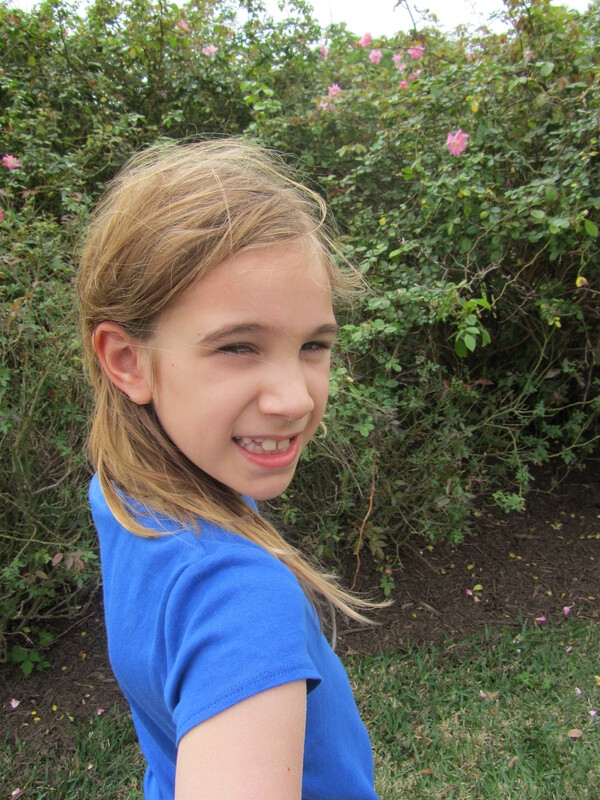 She is a sweetheart of a girl and I have called her Lydi-Lou since I first met her…. sometimes I call her Lydi-Loudles. She doesn’t like that as much. She also answers to Girly-Girl, Lady-Bug and Cutie-Girl. She does NOT like to be called Buddy. That is reserved for the boys. Hey Lyds, how old are you? I know, but this is an interview and this was my first question. why do you keep asking me things you already know? Ok, of you answer this I won’t ask you anything else that I already know the answer to. Why is that your favorite color? What is your favorite pretend character? You said you weren’t going to ask me any more questions that you already know. I know, this is the last one. What is the best thing about your Daddy’s job? What is your favorite thing about your mommy? What is your favorite thing about your brothers and sisters? If there was a fire in your house and you only had time to grab three things, what would you grab? Okay, that was more than three things. What are your favorite things to spell by yourself? But I didn’t get that dress for you! Oh, I mean my other blue dress. Not the yellow one like Kaylee’s blue dress, the other blue dress. Not the one with the zipper, the other one. You know? The dress with the buttons? Yeah, I know exactly what you mean! 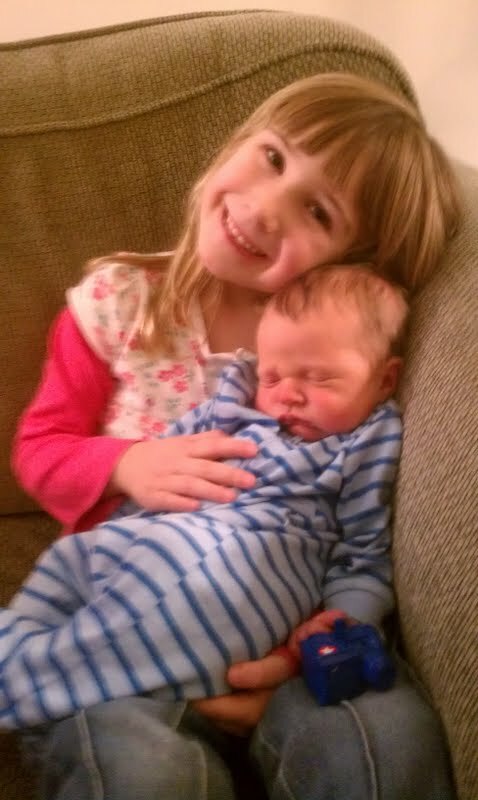 Lydi with her new baby brother! 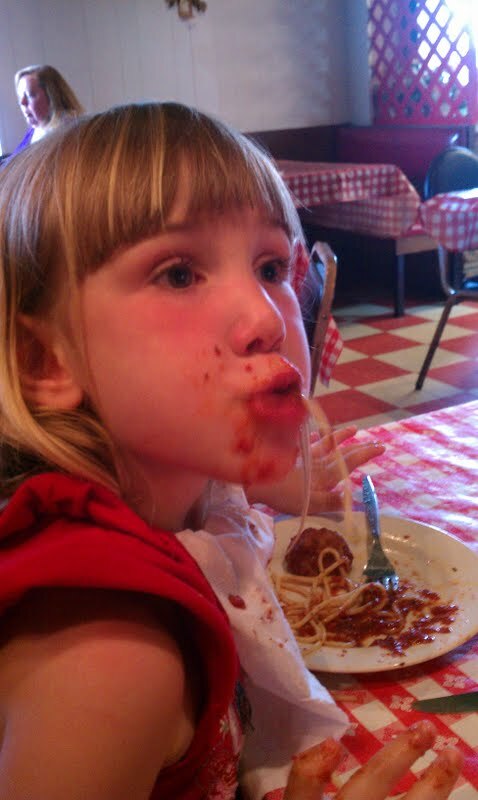 Obviously, spaghetti can be a teensy bit messy! 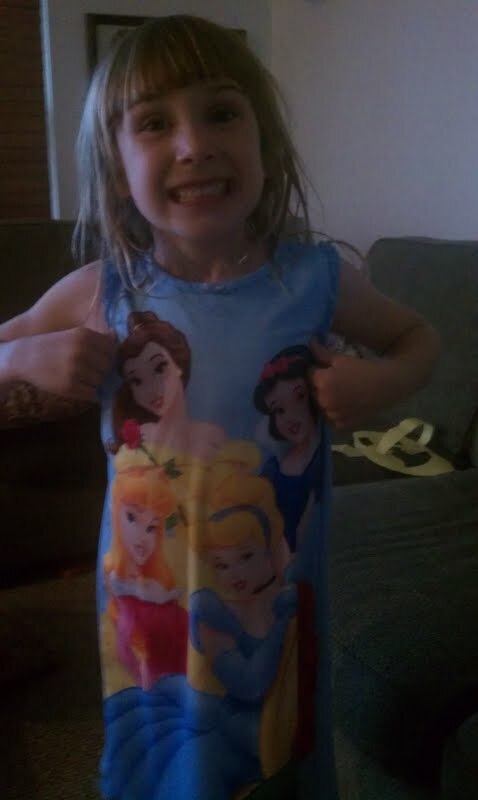 Rockin’ the Disney Princess nighty! I have been in Ohio this week visiting my sister and her kids. By the way, you don’t know awesome until you’ve held 19 pounds of 7 month old goodness!!! But Clark isn’t my intended subject of this post. His brother Abraham is! Abraham is… well, you know what? I’m going to interview Abie and let him tell you all about himself. But I have to wait until he wakes up…. Abie, how old are you? Are you maybe almost 4? What’s the best thing about being a big brother? You’re going to eat markers? random musing about inside markers versus outside markers that I don’t really understand. What’s the best thing about mommy? What’s the best thing about daddy? space man and superman and batman and an airplane man and an army man and air force can. That’s all. Who’s better, Superman, Batman or Spiderman? I don’t know. I guess he goes to space. Do you chose your own outfits? What do you keep in your work bag? Who made your Toy Story apron? Great! Thanks Abie!! Who loves you? Abie wore this to Applebee’s over his shorts and t-shirt. When we asked him why, he said, “In case I eat something messy.” THAT is planning ahead! This is a very typical outfit for Abraham. 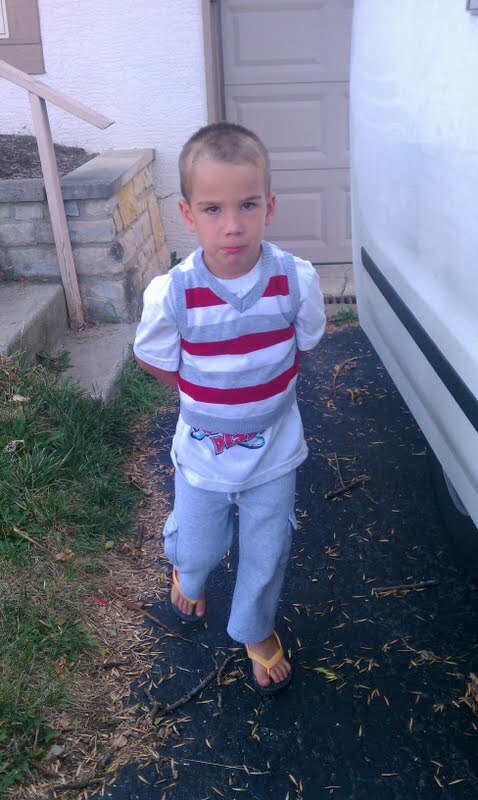 He is sporting a white t-shirt with a sweater vest and gray sweatpants. He is also wearing his yellow and blue Old Navy flip flops.